The deep tones and sculptural silhouettes of evergreen trees against the backdrop of glistening white snow are what make Colorado winters so magical. The Rocky Mountain bristlecone pine is an evergreen species native to Colorado that has painted this majestic picture for thousands of years. It’s believed that the bristlecone pine is the oldest living thing on this earth. This is due to the fact that these durable trees have incredible strategies for survival. They can even remain standing for hundreds of years after they die! The slow-growing Rocky Mountain bristlecone pine is adapted to cold and dry climates. Once matured, it reaches up to 30 feet tall and 15 feet wide. 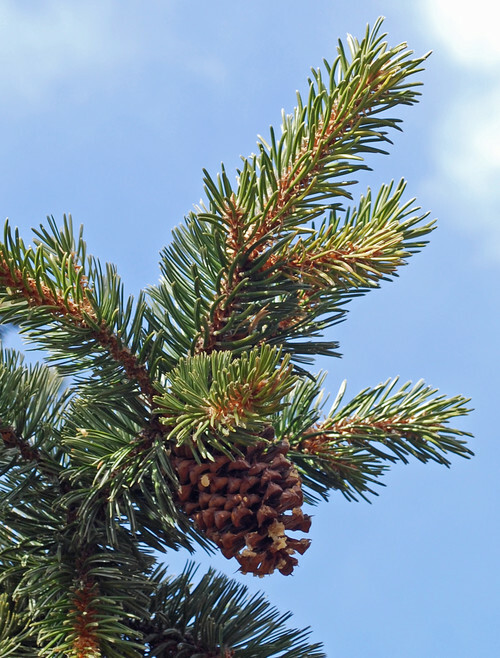 It has needles, about 1 1/4 inch long, that are dark-green to green-blue and pine cones, between 2 and 4 inches long, that are purplish brown. The needles also produce what looks like opaque beads. 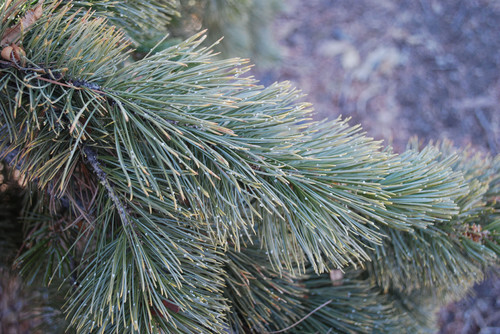 These white resin flakes, which are produced by the needles, are actually a characteristic exclusive to this pine species, making them easy to identify. 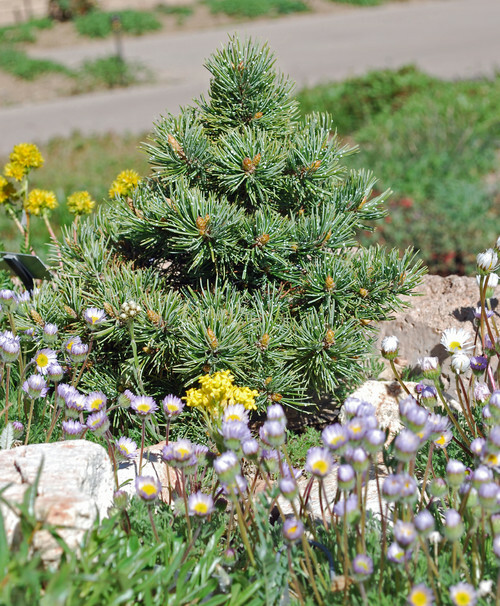 Their small size, slow growth and signature beauty make these evergreen trees wonderful for rock gardens, containers, raised beds and other landscape designs. Plant single pine to create a focal point in a minimalist design or incorporate it among shrubs, grasses or perennials to add height and sculptural appeal. Landscape design writer Jocelyn Chilvers suggests combining these evergreen trees with other drought-tolerant native plants like golden currant, creeping Oregon, grape holly and juniper. Here, the Rocky Mountain bristlecone pine is paired with blue fescue and pussytoes creating a gorgeous contrast of colors and textures. 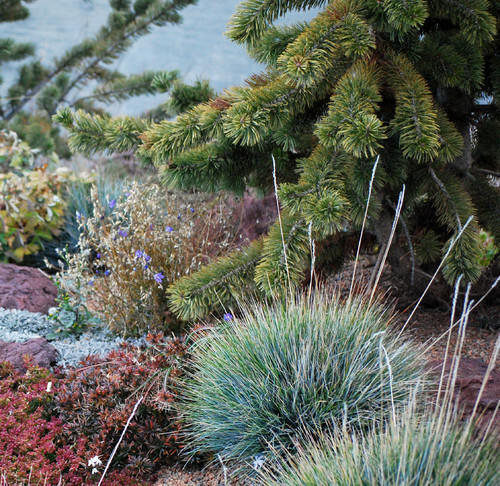 With these ancient beauties and other Colorado favorites, the landscape designers at Lifescape Colorado can help you achieve a beautiful drought-tolerant landscape you can enjoy all year long. Contact us to learn more about our landscape design and garden maintenance services.